decoration – plants can bring much-needed life to areas that would otherwise look barren. 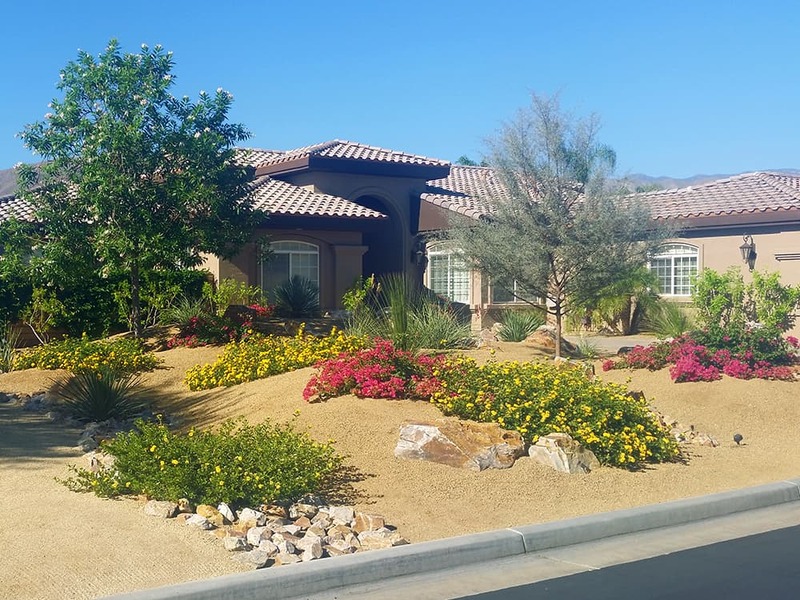 Some of the best desert landscaping out there look so beautiful because they work in synergy with the home. So when designing your landscape, make sure you take inspiration from your home’s architecture and its surrounding landscape. For example, if the home was built on top of a lava-rock field, black lava rocks can serve as a framing for the pathway. This will evoke a sense of continuity. It makes for a very uniform look, which looks real good with the desert as the backdrop. What are some of the key features of a desert city? That’s right – scorching climate and a not-so-abundant supply of water. So make sure you pick plants that are appropriate for the desert city. This means using drought tolerant and self-sustaining plants because they can survive on long stretches without watering. An alternative to this is to build your own irrigation system or to use artificial plants. There are artificial plants that look “almost” as good as the real things but do not require any maintenance except for the occasional cleaning. The downside to using artificial plants is they can never truly pass for the real thing, purists can easily spot the difference. So it is essentially a balancing act between authenticity and convenience. Last but not the least, you have to accept that landscaping is not a simple weekend activity that you can DIY. It requires a lot of patience, some degree of carpentry and design aptitude, and a whole lot of manual labor. If you try to do it yourself, you could end up ruining your property or your costs could lead to unacceptable levels. Instead, you can hire a landscaping company like Water Wise Landscape and let the professionals do all the important stuff. You can still consult with them to ensure that the landscape is in line with your vision, but leave all the heavy lifting to the landscapers. You will save a lot of money, time, and you can focus on more important matters instead. Contact us today and we will give you a FREE quote.